"We've got a lot of work to do," Poroshenko says. The agreement on the association of Ukraine with the EU is implemented only by 15%, says President Petro Poroshenko. "The Association Agreement, which came into force on September 1, is a roadmap of our reforms. I want to emphasize that as [the agreement] is implemented only by 15%, we had a lot a lot of work to do," Poroshenko said during a working trip to Dnipro on Monday, 20 November. 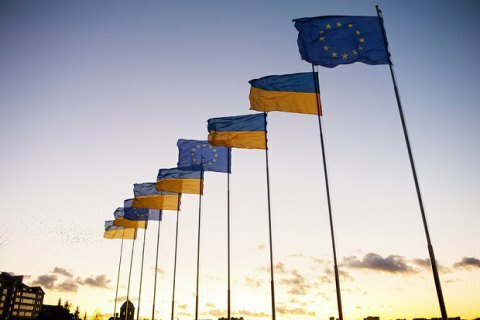 The Agreement on the Association of Ukraine with the EU came in full force on 1 September, 2017 after the ratification of the document by the last EU member state. Most of the AA was enacted before that, as the Agreement partly came into force on 1 September 2014. Its trade-related provisions have been applied in effect since 1 January, 2016. Under to the Association Agreement Ukraine must implement about 350 acts of European legislation until 2025.